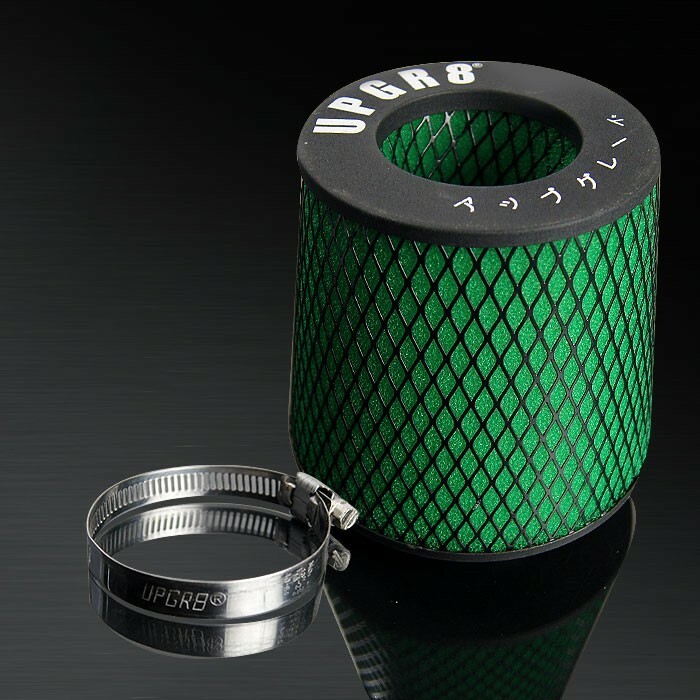 Brand new UPGR8 super high dry flow air filter. Made of high quality 2-layer high density filter element with deep-pleated design, mat black plate,and double black reinforced stainless steel mesh. This super high dry flow air filter is best for off-road,track and drifting. 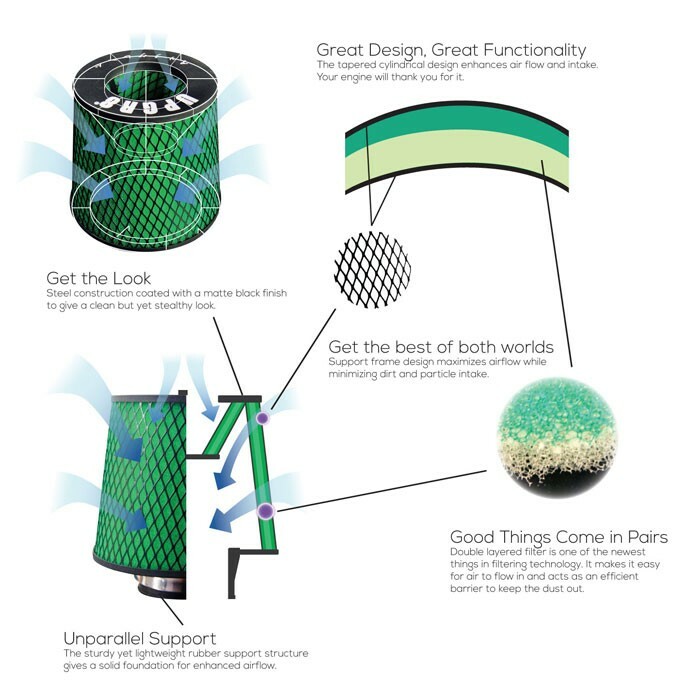 It is engineered to maximize air flow performance. It allows more air to flow easily to the engine, therefore it will increase more horsepower and torque. This super high dry flow air filter is long life type filter (NOT washable and reuseable).